Swami Ramanuja is forever endowed with love directed solely to the lotus feet of the Lord of Lakshmi, a love that is marvellous and unlimited. He is the author of Sri Bhashya which was composed while being immersed in the nectarine ocean of Swami Nammazhvar’s words. 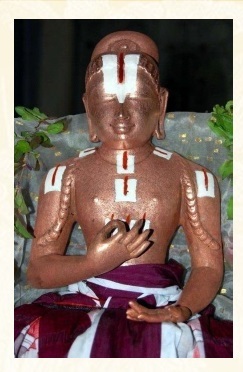 I constantly reflect with devotion on Swami Ramanuja and the form of his re-appearance, Swami Manavala Mamunigal. I write Dramidopanishath Prabhava Sarvasvam to show clearly the lofty meanings taught by Swami Varavaramuni out of his highest mercy. It is well known that Swami Ramanuja relied primarily on Dravida veda while writing Sri Bhashya and other books. In order to explain this fact clearly and establish it through word, reason and evidence, and to please the fortunate men who are well read and bereft of hostility, I write this book. May those of faulty perception, who are unable to see that Divya Prabandham is at least of equal significance as Sanskrit Vedas and in reality much greater than them, and those who claim that even Swami Ramanuja was not interested in Divya Prabandham, read this work carefully. The Divya Prabandham or Aruliccheyal is the collection of the hymnal outpourings of the Azhwars. They are close to four thousand in number. 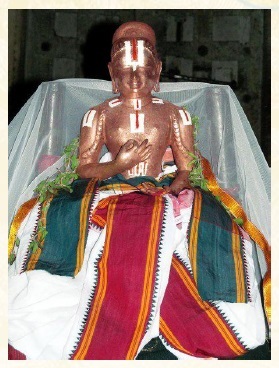 The Divya Prabandham was lost sometime after the age of the Azhvars and later recovered by Swami Nathamunigal. For this reason, Swami Nathamunigal is the foremost of the acharyas after the age of the Azhwars. 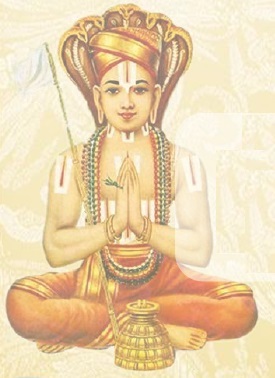 The events pertaining to Swami Nathamunigal’s retrieval of the Divya Prabandham directly from Swami Nammazhvar are described in Guruparampara texts. In the stotra granthams of the acharyas, it can be observed that Swami Nathamunigal is praised next to or before Swami Nammazhwar in light of the fact that the former is the disciple of the later. 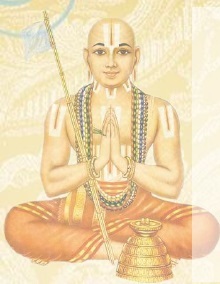 Swami Vedanta Desika says that Swami Nammazhwar was the chief propagator of Vedanta at the outset of Kali Yuga in his Sampradaya Parisuddhi. spiritual knowledge can be obtained from any person irrespective of caste. It is useless to learn from a person who is a brahmin but does not know the truth of the Vedanta. Therefore, Swami Nammazhvar is justified to lead the Vedanta tradition. This is made clear by the words of Swami Madhurakavi Azhwar that Swami Nammazhwar instilled the deep meaning of the Vedas in his heart through the latter’s hymns. One cannot accept everything merely because it is written in Sanskrit. There are several Sanskrit books that speak contrary to the Vedanta and must be rejected. On the other hand, the Divya Prabandham must be accepted, though it is in Tamizh, as it explains the Vedanta accurately for all walks of people. The objections arising out of chauvinism with respect to caste and language are thus rejected. One cannot know the Lord through one’s efforts. The Sastra makes this clear in ‘नायमात्मा प्रवचनेन लभ्य:’………. The knowledge of Brahman (jnana), the sense of detachment towards everything other than the Brahman (vairagya), and devotional love to the Lord (bhakti) are garnered by the sages and demigods through self effort. Therefore, these qualities do not find perfection in them. Having being graced by the spontaneous grace of the Lord, these qualities attained fullness in Swami Nammazhwar. Therefore, Swami Nammazhwar is the highest acharya of Vedanta. It is in view of the above that Swami Alavandhar calls Swami Nammazhwar as आध: and as न: कुलपति:. He is the foremost acharya of the Vedantis and he is the leader of their clan.